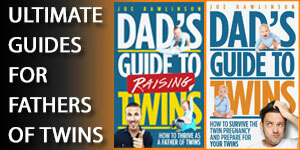 Hi everybody and welcome to the 150th episode of the Dad’s Guide to Twins Podcast. This is Joe Rawlinson. As always you can find me on the web at TwinDadPodcast.com where you’ll find the complete transcript for this episode and all previous podcast episodes. Today on the podcast we’re going to be talking about potty training your twins. Want to share a little bit about our experience with our girls potty training them and some of the principles that we learned that worked effectively for us. 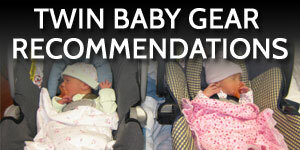 And hopefully can help you as you prepare for a potty train your twins as well. Now about the time that our girls turned 2 years old my wife and I had the conversation that went along the lines of “OK it’s time to potty train our twins now.” Potty training isn’t something that any parent really looks forward to doing but it is a necessary step and milestone. So we went back to the playbook that worked so well for us with our older two boys. And that was the book “Toilet Training in Less Than a Day“. Now this book was a great handbook to guide us through the process of potty training our boys and it worked very well for them. Of course your twins were not naturally know how to use the potty. They don’t know how to pull down their pants, sit on the toilet, use toilet paper, or pull up their pants, wash their hands unless you show them how to do these things. These are very tactical skills that are essential to potty training and too often as parents we assume that kids just know how to do those things. You need to make the effort to set aside a time to teach and practice these skills with your children. So using the principles outlined in “Toilet Training in Less Than a Day” we successfully trained our older two boys. My wife had potty trained our older son. I took a turn on our second son and a potty trained him. And so the time came for our twins and after discussion my wife decided that she would be the one to potty train them. So when the day came for potty training we’d set aside time on the calendar because we knew this was going to be a big event and so we started talking about that day with our children leading up to the event to get them excited about potty training and even took them to the store to help them pick out big girl underpants to help them prepare for the big day. We planned a time over our Thanksgiving holiday. So I was home from work and my wife was here. And so I could take our boys in one of our girls out of the house so that it was just my wife and our one of our twins at home to focus on potty training for the day. That way she can spend all of her efforts and attention on one child focusing on helping her potty train and not be distracted by the other children. So that’s what I did for the first day of potty training. And so during the day my wife using the principles outlined in “Toilet Training in Less Than a Day” did practice drills and reinforcements when things were working. Celebrating the successes and helping train my girl during the day and by the end of the day when when I came home with her sister and her brothers she had mastered the skills of running to the bathroom going to the bathroom and doing the necessary actions. Now keep in mind that even though you can train your child to use the toilet in less than a day they still take some time to master the feelings that their body gives them the signals that the body gives them to help them know when to actually use the bathroom so that takes a little more time but they know the mechanics and logistics of it in a day. So after this successful first day went OK, the next day we were going to focus on her twin sister. And so the second day I took my sons and the freshly potty trained girl out of the house for the day and I left the youngest went home with my wife to train. She went to the same practices same drills throughout the day. But this one didn’t go quite as well as her sister had done. By the end of the day my youngest daughter was having a lot of struggles. She was really frustrated because she was having lots of accidents and things are not going as well as she would have hoped. And so by the end of that day of potty training she parked her heels and said no I want diapers. Understanding that of course she’s not going to be in diapers forever, we decided OK let’s put her back in diapers for now and we’ll revisit this when she’s ready. But her sister was still potty training and going ahead as planned. So I realized at this point that well maybe they weren’t both ready to potty train and you know what. That was probably OK. So what we did was we focused all of her attention and praise on the girl who continued to potty train. So when she went to the bathroom successfully she got celebrations and cheers and reinforcement and praise. And then when she had dry pants when we do dry pant checks she got celebration and praise and recognition. And well it didn’t take very long for her sister, diaper girl, to start to see what was happening that every time potty training girl did something well she got a lot of attention from mom and dad. A lot of praise and a lot of celebration. So diaper girl wanted some of that for herself. So in about a day and a half of watching this, diaper girl comes to us and says I want to potty train again. And she did and she didn’t look back. And she’s been potty trained to this day. So we learned a very valuable lesson here in that where you focus your attention and your praise that’s going to be the outcome that you’re going to get with your children. So instead of focusing on the fact that our youngest daughter did not successfully potty train that first day and that she was having a lot of trouble and sort of focusing on those negative things and think that things had not go according to plan. We instead focused on what was working and who was giving the effort that we that we wanted to see. And in so doing the twin who was not doing what we wanted to have happen. She turned around right. She changed her mind change your attitude and jumped in and started potty training. And so we’ve seen that through out a lot of our parenting with our twins when one of them is doing something right. We focus our attention and praise on them. We focus our energy on what is working and not what is the behavior that we don’t want to see because we realize that when we focus on the outcomes that we want to see we get more of those and we tend to focus on what’s not going right or the bad behavior. We tend to get more of that bad behavior because the children yearn for that attention from you and they’ll get it in a way they can whether it’s good behavior or bad behavior. They just want your attention and approval. Potty training our twins took a little bit of a twist and a turn. We did have success with the principals in that book “Toilet Training in Less Than a Day” and I’ll link to that in the show notes for this podcast over at TwinDadPodcast.com. But even after the mechanics of potty are mastered you need to consistently praise and reinforce the behavior you want to see with your twins over the coming weeks and months and in time they’ll become more and more self-sufficient and be able to use the potty unsupervised by themselves and they’ll be fully potty trained. But you need to continually praise them and reinforce when they’re doing the right thing to help them along their journey. 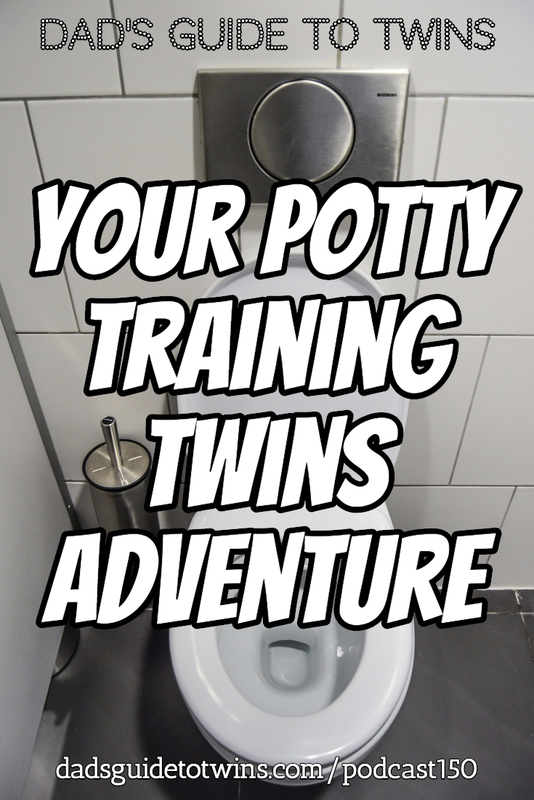 If you have already successfully potty trained your twins I would love to see what worked for you and your family some of the challenges you had and how you overcame those. 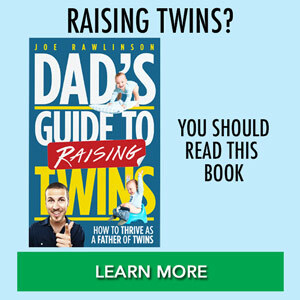 You can head over to TwinDadPodcast.com for this podcast and share what worked for you in your family. 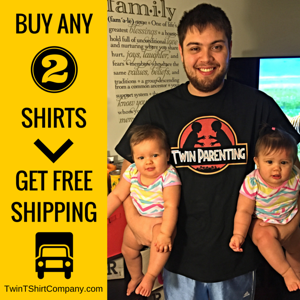 Once again today’s show is brought to you by TwinTShirtCompany.com where you’ll find dozens of T-shirts designed specifically for parents of twins like yourself. 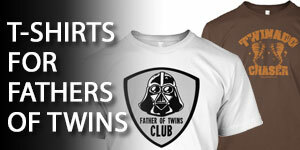 It’s awesome to be a parent of twins and you should celebrate that with some of these unique designs that have been created specifically for parents of twins like us. Once again that’s TwinTShirtCompany.com. Thank you so much for listening today and I’ll see you next time.